A bit of advice to anyone wanting to get into more detail with recording on their DAW. !! !LONG POST ALERT!!! I wanted to put something up here for everyone to be able to make an educated decision on recording hardware. I have been working in the audio engineering/production field for around 5 years now and have gone through all of the hassles of dealing with sub par products so this is in a way my contribution to help people start out on the right foot . To give a really brief qualification/credential check, yes I have been formally trained and have a degree in audio production/recording technology. I started with Specs Howard School Of Media Arts and moved on to the Full Sail Recording Arts program to achieve a bachelors degree. Now I know that Daniel has an excellent thread about DAW's (Digital Audio Workstations) and even some DIY pickups for violin and if you haven't seen them I HIGHLY suggest you read those as well because this will only go into studio microphone hardware! When picking a microphone for recording it's not as simple as just running up to the local department store to grab a PC mic. There are things that those basic 'PC Mics' don't have that a high quality mic will. For example, I'd say most of your basic 'desktop mics' or webcam mics will have either a cardioid or condenser microphone (or combined) of low quality, meaning the frequency drop off is very poor which is not desirable for recording an instrument like the violin at all. Don't get me wrong though, some still produce perfectly fine sound for on a quick video but if you want to take it to the next step or want an even higher quality sound this post is for you. -The Large Diaphragm Studio Condenser type of microphone uses a plate (the Diaphragm part) in order to capture and transmit the sound through your audio cable/usb cable to your computer/recording hardware replicating a close match to what we hear. As a matter of fact most of these mics will even pick up sounds beyond the standard human hearing range. This type of microphone is commonly used for vocal recording but also can work very well for recording instruments if used properly. This type of mic should be placed anywhere from 6 to 15 feet from your violin as if you get any closer you will have to reduce the volume or signal, not capturing the full effect of the sound produced. With either one of these kinds of microphones there can be some hefty additional equipment that you need in order to get the signal in to your PC or Mac (Or Linux box if you have this). Some of that can get very expensive and for just starting out I recommend getting in to a good quality mic that will last until you need more or want to do more with your recordings. Several trusted companies have USB microphones of these styles on the market and they are usually a pretty high quality for the price when it comes to entry level recording. Unless you plan on starting your own recording studio business these are all you really need for now. 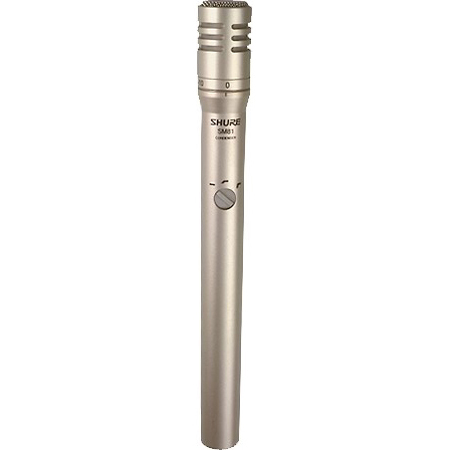 --This microphone is great for all around recording. The nice part is that there is a selector switch on the back that allows you to set the mic for omnidirectional as well as unidirectional modes, allowing you to get the most out of the product. It also has a nice frequency pickup and is made by one of the leaders of the recording industry. --Audio Technica is also a great company for microphones, though several people don't give them the chance they deserve. I personally use this brand of microphone (the AT-2035 XLR if you're curious) and love the sound for many uses. This mic is a cardioid condenser microphone but features that Large Diaphragm referred to earlier. This mic will work well in an open room or larger acoustically treated space and will be able to pick up more of that '3D sound' that the violin produces. I only listed 2 models for now because I don't want to confuse too many people just starting out in this daunting world of audio recording and production lol. Now, there is always the other alternative if you are wanting to only record your violin/viola/cello etc, which would be using an actual pickup designed for the instrument. These are specifically designed for that purpose and in many cases can be the best choice if you just want to record your instrument and nothing else. You can find these on the Fiddlershop . 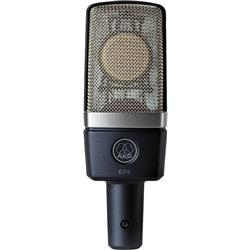 If you are looking to record beyond just your bowed instrument or want to get the extra 'ambiance' from the room you are in which in many cases can be a very realistic production of the instruments sound I recommend you go with the Large Diaphragm Condenser style mic. Thank you very much Chris. I have been looking for a good usb mic for awhile now. Now I know I want a large diaphram usb. My own formal background for recording is far less extensive. My actual degree is in music, so I only took a couple semesters of audio studio and one of digital studio recording. Maybe a bit more than an average musician who does some home recording, but quite a ways short of a proper education in such matters. I also would like to throw in a disclaimer about the DIY pickup and mic projects I have posted. I do *not* use those myself when recording. I use a large diaphragm studio condenser mic into a small mixing panel and/or a tube/valve mic pre-amp. Those DIY projects are good learning experiments or possibilities for folks to try who only have a dollar or two (literally) to spare for gear and want to get started with trying a bit of recording or maybe running their violin into some guitar effects, to see if it is something they'd like to work with. I can make no claim that they'll give good quality sound. I can say, however, that they can be as good or better than some of what is sold commercially as violin mics and pickups. When you have reviews with audio and an expert opinion, like Pierre's on Fiddlershop, that's one thing. You can hear what you're getting and an informed opinion on if it sounds good or bad. You can tell if it is something you want to spend a few bucks on. But if you're buying some pickup off e-bay or whatever just because it is inexpensive? There is a good chance you could probably make something that works as well yourself. In that case, make the DIY and save your money for something better later. When it comes to getting the actual sound of the acoustic violin, I have to say I haven't ever heard a pickup yet that I'd be 100% happy with for that. So far, I have always been able to hear that it is a "pickup" sort of sound, and different from what the ear hears with an acoustic instrument. That can be perfectly ok, if that is the sound you want. But for my money, a large condenser studio mic comes closer to "the real acoustic violin sounds", and they don't have to be super expensive, as FiddleDetroit has pointed out. Thanks Chris. I may contact you someday before listing new mics. Audio Technica seem to have great mics for their price. You're welcome Kevin, glad this info was able to help you decide what kind of mic you need . 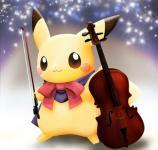 I've recorded my violin a few times with my large diaphragm mic and it really does reproduce the sound well. Pierre, No probs at all! I'd be happy to help out . Audio Technica really does have some great products, granted not nearly as good as say a Neumann mic but for about 1800 dollars less you can't beat the sound they produce. I really like the Blue Audio mics as well. Getting out of the USB series they are some of the best mics I've heard for the price as well. MXL makes a great product too, though some of the reproduction is a bit to bright for my taste personally. I use one of the MXLs, but not a USB type. A 990 with standard XLR connection and phantom power. I agree it is slightly bright, but I usually run it through an ART Tube MPstudio box, which warms the lows and mids up that little bit and smooths the highs. I have used more expensive mics over the years, like back when I was in college and could play with their gear, but my current rig is the best sounding to my tastes. An MXL 990 runs around 70$ these days, and the tube preamp I use can be found on amazon or ebay, often for around 25$ or so. So it is not heinously expensive to have something at least kinda nice for recording these days. Now, an easy non-technical test for folks who might wonder if the mic built into their laptop or whatever is maybe good enough already. Sometimes when the room is nice and quiet, record someone you know well just talking in a normal speaking voice. Then listen back to it. If it doesn't sound just exactly like them, to the point where if you closed your eyes, you couldn't tell for sure it is a recording? Then something in your mic or speakers or headphones isn't as good as you'll eventually want it to be. Do not use your own voice for this test. You never hear your own voice as accurately as you can hear someone else's. The webcam or laptop mic may be fine for recording a practice take so you can hear your progress as well as mistakes, and for doing a few licks to put up on the forum if you want a critique. But if you find yourself thinking "This doesn't sound anything near as nice as my violin sounds in person..".. Well, the mic will likely be at least part of the reason. But for most people, I recommend considering upgrading computer speakers or getting a set of headphones that sound nice before upgrading mics. Until you can hear well, you can't tell if one mic is better than another. Besides, it you are like most musicians, you spend a good bit of time listening to music. You deserve to treat yourself to good sound. LOL But this thread is about mics, so we'll avoid going too much into speakers or headphones just now. Daniel, great point about using a tube preamp. Can't beat that warm tone the older style hardware added to a recording! I've used several MXL's and they really are great mics especially seeing that they tend to keep the prices a bit more affordable. Thanks for adding the non techie test for folks, that's a really nice tip to try to see if ya even need a new mic . So true about getting a good set of headphones or speakers, maybe that's something some of us can collaborate on and get a good thread going for them as well . I wanted to put in a correction to the original post too, for the Large Diaphragm Condenser mic placement... Fingers were not behaving that night, proper placement would be anywhere from 3 to 6 feet not 6 to 15 feet. You'll have to experiment as well since every room is different and that is just a general guide really. I should add also, for anyone reading this... The guide here is meant for those who want to take their recording a step further if you've been wanting to or thinking about getting more in to recording seriously. With technology these days a small home studio on a budget can make a track go a very long ways! Please add in your own thoughts and experiences/advice as well so that everyone can benefit! I feel that the important thing is that with a bit of thought and careful spending, it is possible these days to do home recording that *can* potentially approach what would have been professional quality of the past. New gear and advances in technology make that possible. It doesn't have to cost a fortune. Your computer can probably do a lot of it (even if you only use freeware DAWs or other sound software), and things like mics and headphones that can sound good don't have to cost a lot. A hundred or two spent carefully these days can do what might have cost thousands years ago. After that, it is all down to learning curve and your talent. When you're picking a microphone, you have to consider what you'll be using it for. For instance, something geared towards voice might not work as well if you wanted to record your drum solos. Also, if you picked the wrong polar pattern for a particular kind of recording, you might not get the results you are expecting. I've accidentally recorded using stereo xy instead of cardioid, and had to redo the entire thing because I was off axis to far to the left.